Bail Bond Issues In Colorado Domestic Violence Cases - Denver Criminal Attorney Specializing in Domestic Violence Cases - Colorado Criminal Defense Lawyer. Colorado Domestic Violence Law Series – Bail Bonds – How Are They Set? What Criteria Is Applied? – Colorado Domestic Violence cases are very different than almost any other criminal charge. As a result of the influence of Federal Law – the Violence Against Women Act (VAWA) – most state’s laws are framed to almost presume the guilt of the person arrested for domestic violence. This “approach” to Colorado Domestic Violence prosecutions begins with the arrest and the setting of bail. Judges are trained to believe that allegations of domestic violence are unlike other kinds of crimes because of the “increased risk for re-offense or obstruction of justice” when – or if – the accused (almost always a man) is released into the community while the charges are pending. Since the accused – “perpetrator” – most likely lives with his “alleged victim” or has regular contact with that person – judges require evidentiary assurances that no harm will come to that person if the accused is released. To overcome these “judicial fears” the defense should call – at the bail bond hearing – witnesses such as the alleged victim to quash those presumptive fears. Such ideas as “escape plans” and other safety measures as well as lengthy testimony that the accused presents no threat of harm to the alleged victim should be presented in person before the court. Since the accused is believed – presumptively – even in the absence of evidence – to be motivated by a desire to control the “victim” and is believed to may possibly use violence to control the “victim” while the charges are pending – the judge will require evidence to disprove these fears. At the very first appearance in court – the Trial Judge will advise the accused of their right to bail along with other rights provided under U.S. and Colorado Law. What the Judge does NOT tell the accused is that – before bail can be set – the alleged victim must be contacted and given an opportunity to be heard on the amount and nature of the bail as well as the conditions of bail under Colorado’s Victim’s Bill of Rights Act – C.R.S. § 24-4.1302.5(b). To Need To Understand The Impact Of The Colorado Victim’s Bill Of Rights. Since the setting of bail in a domestic violence case is a “critical stage” ANY bond reduction or modification requires victim input. In the vernacular – the courts have come to call this “VBR” compliance – or victim’s bill of rights compliance. If a bond is set lower than scheduled or customary amount for th at specific crime. If a bond is adjusted as a result of a plea bargain. If there is any change in the type of bond in the case – such as from a cash to a surety bond. If there is any modification to a condition of the bond. …all of these situations – and others require VBR – before changes can be made to the bail or bail conditions. Factors – under C.R.S. § 16-4-105 – must be applied by the trial judge – in setting bond. Unfortunately- a judge’s decision on the setting of bail and the conditions of bail are well within the discretion of the trial court and that decision will not be disturbed unless there is a very clear case of abuse of discretion. (l) Any other facts tending to indicate that the defendant has strong ties to the community and is not likely to flee the jurisdiction. The Judge Looks More Carefully At Defendant’s Prior Criminal History – with an eye toward violence. The Judge Looks More Carefully At Weapons Offenses – the prior use of a weapon or firearm to commit and offense or the defendant’s access to weapons. The Judge Looks More Carefully At “Access To” The Alleged Victim. The Judge Looks More Carefully At The Nature and Extent Of The Defendant’s Family Connections. The Judge Looks More Carefully At Attempts Of The Alleged Victim To Leave Or Terminate The Relationship With The Defendant. The Power Of The DA – Prosecutor To Object To PR (Personal Recognizance Bonds) C.R.S. § 16-4-105(1)(m)-(p.5). He has a record of conviction of a class 1 misdemeanor within two years, or a felony within five years, prior to the release hearing. A Colorado criminal defense lawyer MUST MAKE CERTAIN – at the time bond is set = that the judge has “reliable information concerning the accused prepared or verified by a person designated by the court, or substantiated by sworn testimony at a hearing before the judge, from which an intelligent decision based on the criteria set forth in this section and be made. This information can be submitted either orally or in writing without unnecessary delay. A lawyer must make certain the witnesses that can support their clients are available to testify at the bail bond hearing. One of the most difficult aspects of being prosecuted for domestic violence in Colorado – are the numerous and unfair conditions place on individuals who have merely been accused of a crime of domestic violence. These include the mandatory protection order and numerous other conditions. The issuance of the no contact / mandatory restraining order and the many conditions of that order will shock the newly charged person in the Colorado court system. The mandatory restraining order remains in effect from the time that the person is advised of his or her rights at arraignment or the person’s first appearance before the court and informed of such order ….. until final disposition of the action. “Until final disposition of the action” – does not mean until the next court date – it means until the case is dismissed, until the defendant is acquitted, or until the defendant completes his or her sentence. 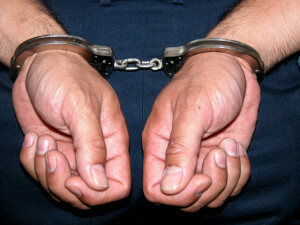 If the mandatory restraining order – and the most intrusive form of that order – the NO CONTACT ORDER – is not modified or removed before or at the time of sentencing – it remains in effect throughout the period of probation or if there is only incarceration and no probation – until the sentence is completely served. The NO CONTACT Order enhances the basic restraining order and makes any and all contact – direct contact or indirect contact a violation of the Court’s order and punishable by contempt of court and / or a new criminal case filing called violation of a protection order. Note: The court is required, in domestic violence cases, to state the terms of the protection order on the record and require the defendant to acknowledge the protection order as a condition of any bond. A mandatory protection order does NOT include the Defendant’s criminal defense lawyer as that person must be allowed access to ALL witnesses including the victim to effectively prepare for all hearings and the trial. (VIII) Pretrial work release of the defendant. Conclusion – Colorado Domestic Violence Law Series – Bail Bonds – How Are They Set? What Criteria Is Applied? If you are charged with domestic violence in Colorado – retain a person who specializes in these case.. Please feel free to call our firm. ABOUT THE AUTHOR: H. Michael Steinberg – Email The Author at hmsteinberg@hotmail.com – A Denver Colorado Domestic Violence Criminal Defense Lawyer – or call his office at 303-627-7777 during business hours – or call his cell if you cannot wait and need his immediate assistance – 720-220-2277. If you are charged with A Colorado crime or you have questions about the topic of this article – Colorado Domestic Violence Law Series – Bail Bonds – How Are They Set? What Criteria Is Applied? , please call our office. The Law Offices of H. Michael Steinberg, in Denver, Colorado, provide criminal defense clients with effective, efficient, intelligent and strong legal advocacy. We can educate you and help you navigate the stressful and complex legal process related to your criminal defense issue. and all the other cities and counties of Colorado along the I-25 Corridor… on cases involving the subject of this article – Colorado Domestic Violence Law Series – Bail Bonds – How Are They Set? What Criteria Is Applied?